Dubliners is a series of 15 dark tales about city life at the turn of the 20th century. Although Dublin is a capital, it feels more like a village where everyone knows each other. It’s really magic that you can see and feel traces of the stories as you explore Dublin today. As Joyce wrote, real adventures do not happen to people who remain at home: they must be sought abroad. Why not spend a day exploring Dublin through the eyes of one of her famous writers. 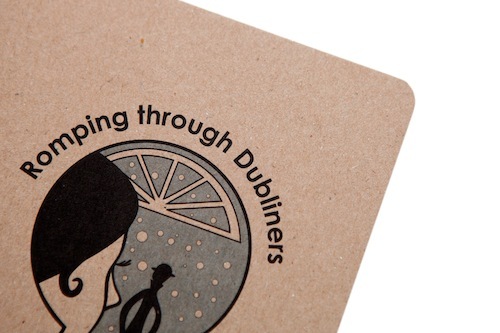 Here’s what you could get up to bring Dubliners to life. 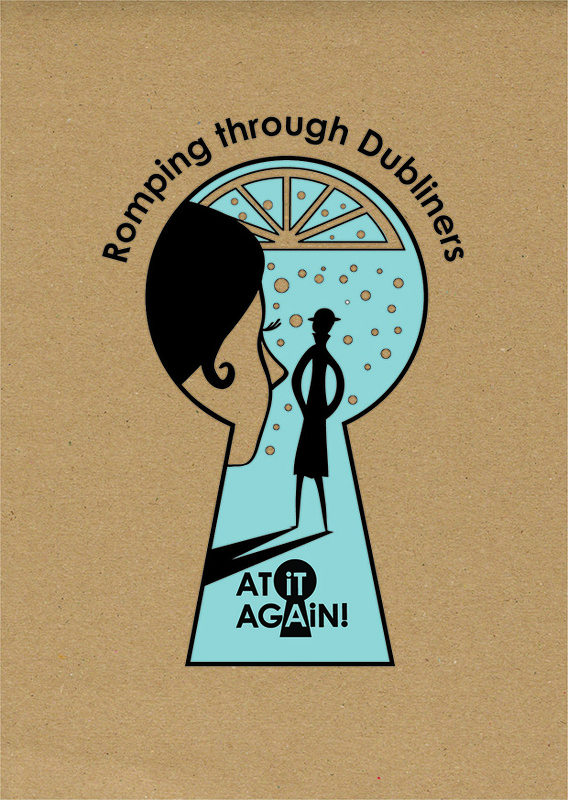 To plan a Dubliners literary adventure, you might fancy a copy of Romping through Dubliners It’s an illustrated pocket guide to Joyce’s stories that has a couple of handy maps you can use to follow the Joyce trail across Dublin. To get some background on Joyce’s life, head for the James Joyce Centre on North Great George’s Street to find Joyce’s death mask, a recreation of the Parisian flat where he used to write and other interesting memorabilia. At the top of the street you’ll see Belvedere College where Joyce – and some of his characters in Dubliners – went to school. It’s worth taking a walk down Hardwicke Street round the corner, where Joyce lived for a while and where the action in the short story The Boarding House takes place. Just off the west side of Parnell Square you’ll discover Henrietta Street. Nestled near King’s Inn, it’s a fine example of a Georgian Street that was an infamous tenement in Joyce’s time. Then take a stroll down O’Connell Street until you stumble on the statue of James Joyce near The Spire. You’re bound to get drawn into a conversation with some friendly Dubliners who have their own stories about Joyce to share. A perfect way to spend a Joycean lunch time in Dublin is to head to Sweny’s Chemist. You can get to it by wandering through the grounds of Trinity College and popping out of the back entrance onto Lincoln Place. The chemist stands in the same spot where Joyce, as well as other Irish writers like Oscar Wilde and George Bernard Shaw, knew it. The chemist is now run by volunteers and they host relaxed readings of Joyce’s works every day, with Dubliners readings on Tuesdays, Thursdays and Fridays at 1pm. Joyce puts plenty of detail into Dubliners about the daily lives of his characters. Was it just to make them feel real, or are there layers of symbolism woven into them? He wrote I’ve put in so many enigmas and puzzles that it will keep the professors busy for centuries. So, for lunch, why not eat peas seasoned with vinegar washed down with ginger beer like Lenehan in the short story Two Gallants. Don’t be too much of a purist though – peas go great with fish and chips! There’s a number of good pubs around Sweny’s Chemist. 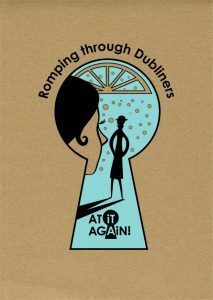 Why not follow some of the characters from Dubliners across the city. The peculiar Mr James Duffy in the short story A Painful Case romances a lady friend by going for a stroll in Phoenix Park and enjoying afternoon tea in the Victorian Tea Rooms near Dublin Zoo. They also enjoy an evening of music in the National Concert Hall on Earlsfort Terrace. Or if you want to recapture a spirit of youthful adventure, you could head out along the River Liffey through the suburb of Ringsend and walk the harbour walls to the Pigeon House in Dublin Bay. It’s where Mahony and his friend are heading in the short story An Encounter. A lot of the stories in Dubliners take place on the way to the pub, in the pub, or on the way home from the pub. On the way to the pub, you could stroll through Stephen’s Green at twilight, keeping a look out for the James Joyce statue. A great Joyce pub is Mulligan’s on Poolbeg Street. Joyce mentions many beverages in his works, so plenty of literary reasons to enjoy a whiskey or pint of Irish stout. Or if you want to hear some Irish song or storytelling, O’Donogue’s on Baggot Street will help you recreate the atmosphere of short stories The Boarding House or The Dead. While you’re in the pub, it’s essential to strike up random conversations and make plans for post pub activities. In the short story After the Race a bunch of youthful rogues get together for a lively game of cards. So, be sure to pop a deck in your day bag. This blog post is by Jessica, the saucy schemer, who takes pleasure in whipping At it Again! into shape. She fell in love while reading Ulysses, and has been trying to figure it out ever since. Dublin Trip, Dubliners, Irish Writers, James Joyce Bloomsday 2016, Books, City guide, Dublin, Dublin trip, Dubliners, Famous Irish Writers, gifts for booklovers, gifts for readers, Irish Classics, irish gifts, Irish Literature, Irish Writers, James Joyce, literary gifts, literary travel, Summer, unusual gifts. permalink.